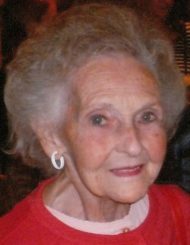 Helen M. Kochel, 86, of Lititz, passed away on Wednesday, April 3, 2019, at United Zion Retirement Community, Lititz. Born in Lancaster, she was the daughter of the late Herman and Cora (Davidson) Davidson. A lifelong resident of Lititz, Helen graduated from Warwick Township High School with the Class of 1950. She was an active member of Grace Church in Lititz for many years, where she worked as the Church Secretary and with the Morning Star Day Care, and was often referred to as beloved Miss Helen by many of her former day care students. Helen was an avid fan of the local high school sports and Phillies Baseball. She enjoyed going on bus trips to Atlantic City and the shore. She especially enjoyed spending time with her granddaughter. Family and friends are invited to attend funeral services which will be held at 12 Noon on Tuesday, April 9, 2019, at the Spacht-Snyder Family Funeral Home & Crematory, 127 S. Broad Street, Lititz, PA, 17543, where a viewing will take place beginning at 11:00 AM. Interment will be private at the convenience of the family. In lieu of flowers, contributions in Helen’s memory may be offered to the Benevolent Fund at United Zion Retirement Community, 722 Furnace Hills Pike, Lititz, PA 17543.